“Thanks to all my students for getting me such a beautiful belt. is proud to announce four new promotions as of 06/29/2015. on by behalf when I am not present. New students are taken by invitation only. your white belt class starts will start when you are accepted. Hanshi Arthur DeBuc 9th Dan. Hanshi first started to train in Kyokyshin at the Y.M.C.A. in Kingston Jamaica in 1970.
when Master Chisolm granted him his second Black Belt. Hanshi earned the Black Belt and beyond in Japanese Goju-Ryu under Master Chisolm. Neither Master Chisolm nor Kyoshi Powell knew Hanshi was training in two schools at the same time. making Hanshi eligible to take the Cuong-Nhu black belt test. Circumstance with time off and responsibilities stopped Hanshi from getting to the Black Belt exam. brown belt in order to allow a student to sit the black belt exam. Hanshi was never able to take the Cuong-Nhu black belt test even though he paid the school dues for an additional two years without training there. Hanshi trained under Kyoshi Russ Rogg around 1990 in Perine Florida and earned a Purple Belt in Shendo Goju-Ryu, Kyoshi Russ Rogg had started his own Goju-Ryu style and was also at one time the student of Grandmaster Manny Saavedras. Hanshi trained under Grandmaster Manny Saavedra in Miami Florida from around 1992 to 2009 in Sansei Goju-Ryu, attaining his 8th dan in 2003. 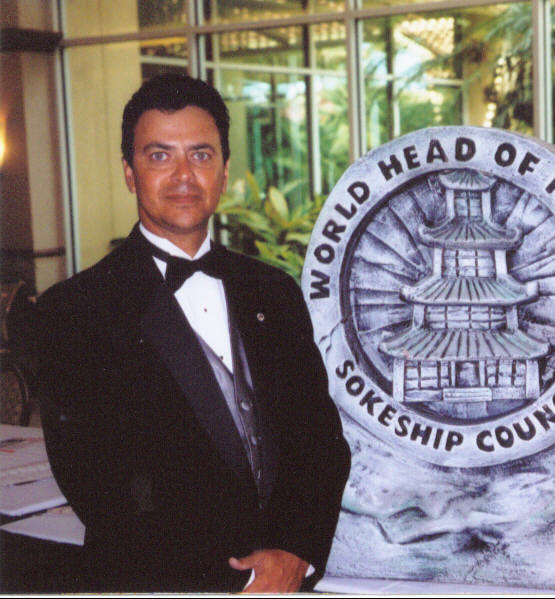 In 2004 Hanshi started working again on combining his martial arts knowledge into one art. Hanshi had been quietly working on this combination since 1973. His thoughts were that all martial arts are somehow connected and he wanted to put them back together again. Using Japanese Goju-Ryu as its foundation and Miyagi Sensei and Master Ngo-Dong as his inspiration, both of whom had many years earlier created Goju-Ryu Karate and Cuong-Nhu Oriental Martial Arts from combining other martial art systems, Grandmaster DeBuc put the final touches on his style, and named it: Double Dragon Goju-Ryu Karate-do. teachers before him had also done.